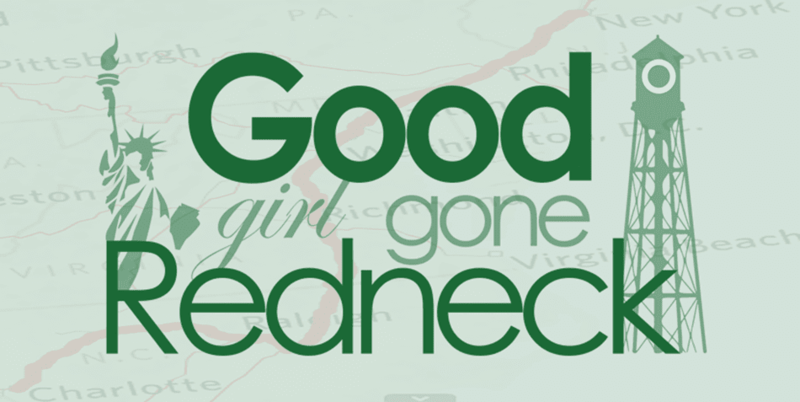 Good Girl Gone Redneck: Heading to #typeacon? My tips! Heading to #typeacon? My tips! So this year I'm going back to Type-A Parent Conference. But I'm also kind of laid back about it. I'm not stressing over the schedule. I just know I'll be slightly OCD when I get there, and when I have the schedule in my hands I'll be reading, re-reading and living off of that thing for the entire weekend+. I can't let myself stress about it now, or I'll turn into loopy mode and won't be able to function on the other stuff that's important before I head off to Charlotte for this trip. So - I know you've read loads of tips by now, but I'm going to give you mine anyway. Last year Type-A Conference in Asheville was my first conference ever. This year in Charlotte is my second. See a pattern here? I totally do! Anyway, some of the things I brought with me last year that I found essential may seem the norm for many conference-goers, but I'm going to list them out for you anyway. Yes, your cell phone will rock. But your standard digital camera, if you have one, or your fancy-schmancy point-n-shoot, whichever works for you? That's needed. The better pictures I got were on my digital camera. I may not use it all the time, but I'm bringing it anyway. I know - Duh. But last year the hotel's wireless was wonky. It was so frustrating and the ONLY way I was able to get online was through my phone. Seriously. I had a slightly crappy phone, and it came through for me in a big way. Yay, phone! I kid you not, you'll find a lot of people who want to be your best friend if you bring one of these with you. I need to be sure I have a working one this year. I didn't bring one last time - but I absolutely borrowed some juice off of someone else's! Sure, in today's electronic world we rely on note-taking methods that run the gamut. But a pen and paper are a no-fail back-up. What if you run out of battery? What if you can't type fast enough? What if - what if? What if you're like me and sometimes just love writing stuff down? Bring it. Because yes, it's pretty hot in NC in June. But it's also pretty air-conditioned in those conference rooms. Without a doubt. Reusable is the way to go for me, so I recommend it. It's the best way to ensure you're not dried out while sitting in the aforementioned AC-d rooms. And it's easy and always free to fill 'em up! Plus? Environmentally friendly. Go for it. If you're like me and can't make it through an all-day class without at least 2 snacks? Bring a few of your own. Plus it's really nice to make friends w. your roomies or whomever else you're hanging with if you share your extras. Say you have something spicy/salady/soupy for the meal you had prior to the session/party/etc. you're attending? 'Nuff said. Bring enough to share and you'll make new friends for sure. They're often a given, but if you don't have your own please be sure to collect them from others. Take notes on them, if you can (remember that pen) and remind yourself where you met people, what stands out about them, etc. And if you DO have your own? HAND THEM OUT. Seriously. Don't feel weird. Even though it DOES feel weird. Do it anyway. You didn't buy them for nothing, right? Just do it. I promise nobody will look at you funny. It's always good to have some extra cash on hand. Just cause. If you're like me and your feet tend to freeze those conference rooms might not be kind to your toes. Bring socks or closed-toe shoes to keep your tootsies warm during the day and save the open-toed shoes for night. Or outdoors. Plus socks are great if your feet get cold when you're going to bed. And then you can avoid packing slippers if you're one of those people who don't like to walk on hotel carpets without some sort of buffer. * whatever else you bring with you that gives you the comforts of home? And doesn't include a pillow and/or towel? Bring enough to share! Your roommates will thank you for it. I'm sure I have more to add here, (I'm not even going to touch anything to do with clothing, aside from my thoughts on shoes!) but for the time being I'm going to wrap up this post before it becomes even more novel-like. So, what do you think? Was this helpful? Did I forget anything? If so - what? Please tell me! I still have time to pack. Oh! And DON'T forget a small bag of some sort for the swag. Because yes, Type-A does have swag, and you may get your own reusable grocery bag to carry it home in, but if you're flying that then becomes your carry-on, and you all know you only get one of those, so ... think ahead! Great Tips.. the power strip thing is BRILLIANT.. what a way to make new friends fast. The big conference in the DIY world right now is HAVEN.. which is this weekend.. I'm so sad I can't go, but next time..
have a blast at TypeACon. That sounds fab too! I am excited! Still trying to decide about a reusable water bottle. I am flying and need all the space I can get. Maybe I will find room in my carry on. Gym is a great tip, need to stock up! I need to remember to pack a water bottle! Great tips :-) My point and shoot is in the shop and I'm so bummed. It was supposed to be finished 2 weeks ago, but when the guy was fixing it the flash got damaged, so he had to order a part. So I'll be bringing my Canon Rebel this year, which is kind of a pita to tote around all the time, but at least I'll still get pics. Thanks for the tips! I'll make good use of them as I pack. Looking forward to seeing you again this weekend! Have a great time! 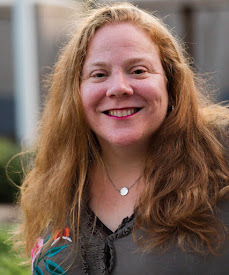 I can't wait to see you at BlogHer!!! !